November 22, 2018, 8 a.m. to 12 p.m. Location: Downtown Minneapolis Registration: 6–7:30 a.m. Races start at 8 a.m. Celebrating 30 years of Minneapolis tradition! Warm up your Thanksgiving appetite with the Life Time Turkey Day 5K. Celebrating 30 years of Minneapolis tradition! Warm up your Thanksgiving appetite with the Life Time Turkey Day 5K. Since 1989, the event has brought family and friends together to start the day in a healthy way. 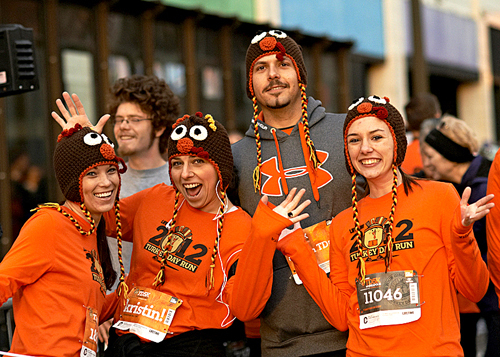 Join runners, joggers and walkers for Minneapolis’ Thanksgiving Day – turkey trot – tradition benefitting Second Harvest Heartland.